The Unitron Moxi All 700 mid-tech level hearing aid from the Unitron system known as the best in conversation technology and platform. 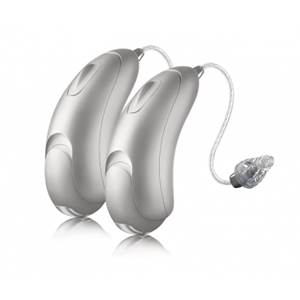 The hearing aid is capable of direct connectivity with any mobile device regardless of the operating system. The wearer can enjoy hands-free phone call and direct sounds streaming of music via iPhones, Android mobile devices and other audio content gadgets. The device uses rechargeable batteries, charging base and special set of battery door to power up.